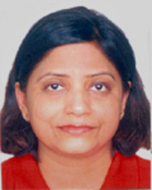 Vibha Mahajan is a Non-Executive Director of Vikas Ecotech Limited. Vibha has over 22 years of diverse experience in the field of product planning & management, business development & product marketing. She has worked in the education industry with McGraw-Hill Education. She has been involved in its business development, driving revenue growth and proactively conducting opportunity analysis & environment scans including market trends, customer requirements and competitor moves to achieve market-share metrics. Vibha brings an unmatched ability in overseeing projects from conceptualization to execution with a focus on customer needs providing valuable solutions and ensuring profitability. She holds a Bachelor of Engineering degree (Electronics) and has completed a General Management Programme from IIM Lucknow.